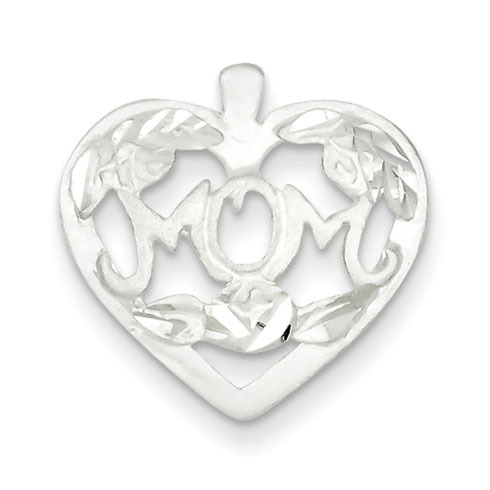 Sterling Silver MOM HEART W/ FLOWERS CHARM. Weight:1.87 grams. Item measures 5/8 inch by 11/16 inch without bail.